The Screen recorder for Windows 10 is the efficient way to do best screen capture where you can do full screen capture or partial screen capture from desktop. You can capture it in a high quality manner without losing the quality. Capture anything from the screen along with the audio and also do recording from microphone or computer system audio. You can also trim the captured video that can be from beginning, middle or end of the video which helps to remove unnecessary section from the video. After that you can share it with others through YouTube, Facebook, Twitter and more. Screencasting can be used to help people those who have difficulty in explaining with words or finding difficult to communicate. Do you know windows 10 has hidden screen recording tool? It has game bar software program that comes with Windows 10 where you can take screenshot and record as well as broadcast video games. First of all, the game bar should be enabled for a game before you can use the features. Open any game from inside the app or from the list app available from the start menu. If it is prompted enable the game bar then you can do so otherwise use the key combination Windows + G.
It also allows quite setting that allow to personalize it to suit your needs which is separated in three tabs like general, broadcast and audio. You can also do along with background recording. 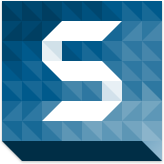 Snagit screen capture for Windows 10 is the best screencasting software where you can capture anything on the screen that can be full desktop or customized part of the screen. The best way to capture anything on the desktop instantly and share it on social media site like Facebook, twitter and more. It also does scrolling screen capture that can be vertical, horizontal, infinitely scrolling web page and long chat message. Once you have completed the screen capture, you can do editing for the captured video that can be from beginning, middle and end of the video. Do audio recording along with the screen capture and also capture audio from microphone or computer system audio. With Snagit screen recorder for PC, you can annotate screen grabs with professional mark up tools and also automatically make objects in your screen capture movable where you can rearrange button, delete text or edit other elements in the screenshot. It also recognizes text in your screenshot for quick editing where you can change words, font, color and size of the text in your screenshot. You can personalize your image with sticker that is specifically designed for screenshot. Apart from other features, library is another function that can be used to find past capture without wasting time in searching them where all the screen capture are automatically saved in the library. 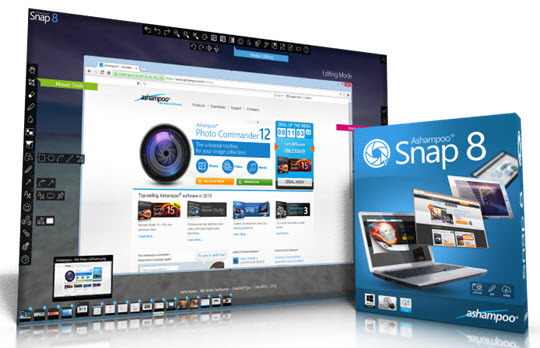 The Snagit screen recorder is used in various field like education, marketing, business and more. It is the effective way to communicate and explain your points clearly. Movavai is a reliable screen capture for Windows 10 PC which is used for record online videos, Skype call and other online activities. It is a 2 in 1 screen recording program where you can do screencasting and video editing. By using this tool, you can do full screen recording or customized screen recording according to your requirement. You can also capture video along with audio as well as record from microphone or computer system audio. Once you have finished the screen capture, do editing to cut unnecessary section from the video that can be from any part of the video. There is also option to add background music, caption and callout to the captured video. The screen capture can be saved in different formats like MP4, MOV, AVI or any other popular format. You can make your recording which is playable mobile device as well as share it online. You can adjust the capture setting by adjusting the frame rate and other setting. Movavi screen capture for desktop lets you to record in Full HD at 60 frames per second for perfect output footage. Add effects to your video or image to make viewers follow easily. This is very helpful in recording video chat, job interview and software demo. The Screencast-O-Matic is a useful Windows 10 software for PC to capture full area of screen or selected portion of the screen. It is a free screen recording software that can capture in a high quality manner without losing the quality. This software has a very well designed interface and the operation is very simple to do the required work. Once you have completed the screen capture, you can do editing of the video to trim the unnecessary section and this makes the video look professional. With this tool, add webcam along with screen recording and this is helpful for taking online classes. There is also zoom in function that lets you magnify the area that you want to show it to others and also make the viewers follow easily. It is the effective way to communicate and share information. Apart from function, you can animate that lets you to turn short recording into animated GIF and you can also add transition and overlay effect to the video. The screen capture can be securely backed up and it is stored in a place that is located off the computer. This helps to save your hard disk space and keep your recording in safe manner. The best way to record your video tutorial, demos, games and other online activities. Get the free ice cream screen recorder for Windows 10 that enables you to capture any area of the screen that can be full screen or selected portion of the screen. 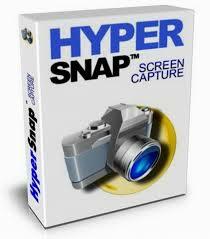 This software is easy to use and has a complete set of tools for the best screen capture. The professional way to do screen capture along with the audio and it is easy to record webinar, Skype videos in HD, games and more in a quick manner. This product comes with many function like edit video, drawing panel, add watermark, zoom function and more. With edit video, you can do editing of video that can be from any part of the video and the drawing panel lets you to draw, outline, add arrows or text to the video. When you include watermark to the video to show who has created it and also you can enhance the brand. Whereas the zoom function lets you to highlight the specified area and it is used to bring attention among the viewers. Ice cream screen capture lets you to display hot keys used during the recording and also change the format of recorded videos later. The clip board saves screen shot instantly and you can share by skype or email instantly. In addition, you can do scheduled screen recording where you can set start and stop time for the screencasting on PC and you can do the other work. Finally, you can share videos or image in a quick and easy method. The Bandicam screen recorder for Windows 10 PC is a reliable program to capture anything on the screen that can be full screen or customized screen. It is useful to record lecture, webinar, Skype videos in HD, games and more in a high quality manner without losing the quality. This tool is easy to use which can be used by beginner as well as the expert. It is a free screen recorder that can capture anything and save it in different formats like AVI, MP4 and other formats. You can trim unnecessary section from the video that can be any part of the video. Do audio recording that can be from microphone or computer system audio. Apart from screen capture, you can do game recording to capture 2D and 3D games with 4K UHD video. Add mouse click effects and animation to the screencasting to make it more professional. It is also easy to share it on social media site like Facebook, twitter, YouTube and other sites. By using Bandicam screencasting, you can do real time drawing where you can draw and outline on your video or screenshot in real time. Another function is that add logo to the video and this helps to show who is the creator of the video. The user can also add webcam of yourself to the video that you are recording. In addition, it can also do recording external device recording. It is a efficient screencasting program for Windows 10 that allows to record everything on the screen that can be live streaming videos, web meeting, and other online videos and audio. The screen capture can be done for full screen or partial screen according the necessity. You can do screen capture along with audio recording from microphone or computer system audio. After completing the screen capture, you can do editing of the video that can be from any part of the video and it makes your video look more professional. In addition, you can do scheduled recording by setting start and stop time. This is helpful to record important online videos without your presence. Apart from it you can change the recorded videos into different formats like MP4, AVI, WMV, MOV and more. ApowerRec lets you to do webcam recording along with screen recording which is helpful in creating online educational videos. It also has game recording that lets you to capture important gaming moments in HD and share it with others to show the gaming skill. This tool is helpful to record online class lecture for e-learning and also add annotation for better illustration. In business, it is used for sharing of information to business partner, employee and other people. This is a easy to use screen recording software for Windows 10 that can record and capture anything on the screen in full HD manner. You can record online videos, webinar, live game play and more. It has a simple interface and do screen recording with a single click. After finishing the screen recording, you can do editing to trim the video and make it watchable. There is also way to extract audio or background music from the recorded video and it is helpful for studying foreign language by extracting sound. Apart from other feature, you can do screen recording by setting start and stop time for the recording. You can do other the work when the recording takes place and it is useful to capture important online videos. There is also option to record at a maximum of 30 frames per second and RSCC enhances the encoding speed. Litecam HD also allows you to add title and logo to your captured video to make it easy for the viewers to understand and also insert logo to the video to show who is the creator. You can also add mouse effects to the video and also make mouse pointer more visible as well as it gives different effects for click. Convert the video to different format and make it playable on portable device like smartphone, tablet and more. The Ashampoo Snap 10 for Windows 10 lets to take screenshots in a single click that can be video, image or audio. By using this software, you can do full screen recording or partial screen recording in a reliable manner. After completing the screen capture, you can trim unnecessary section from the video that can be any part of the video. Add watermark to the video to show who is the creator and this helps to show your creativity. It is also used to highlight your videos and also keeps the things organized. Ashampoo Snap 10 screen recorder for PC lets you to optimize the image in size before mailing or uploading them. In addition, You can safely upload the screen capture to the cloud services like Dropbox, Microsoft onedrive and google drive. Add webcam video of yourself that you are recording and this can be useful for online training class. You can also bring attraction among viewers by adding effects, text, arrows and so on. Whereas you can change the output format to BMP, JPG, PNG or PDF and this is helpful for playing on portable device. This is the reliable tool to create your own videos and share it in social media sites like Facebook, Twitter, YouTube and more. It is easy screen capture and editing program for Windows 10 PC that lets you to do full screen capture and customized screen capture in a quick manner. You can record webinar, skype calls, games in HD and more in a high quality manner. Do audio recording from microphone or computer system audio and also include your own audio in the screencasting. After completing screen capture, you can instantly save it in a high quality manner. Once the screen capture is finished, you can do editing of the video from any section to take unnecessary part. The zoom in function lets you to highlight the area you want and also adjust the recording during screen recording. You can also text and image watermark to the video as well as keeps the video protected. Another major advantage of Gilisoft screen recorder is that it can record multiple screen activity and also embed mouse cursor in recording with mouse click sound effect and mouse click effect. The Hot keys are used in screen capture that lets you to start, pause and stop screen recording. Gilisoft screen recorder for desktop has auto-stop recording that gives you confirmation that recording has started successfully. This screencasting software is widely used to create software demos, streaming videos and to record game play moments. There are many software available in the industry and selecting the required one would be little difficult. You can choose screencasting program according to your requirement and should have function that you require. It is better to avoid free screen recorder for windows 10 which may lack in important features.